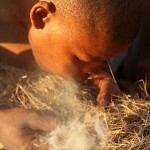 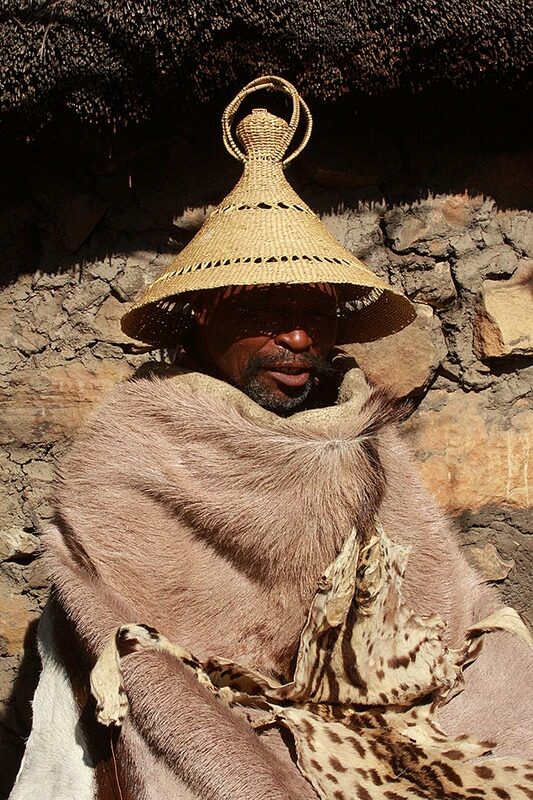 A Chief of the Basotho Tribe relaxes outside his hut in the Mountain Kingdom of Lesotho. 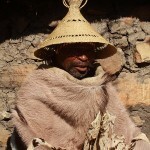 The grass hat is a typical part of the National Dress of the Basotho. This tribe is known for its expert horsemen, who have their own particular breed of sure footed pony.